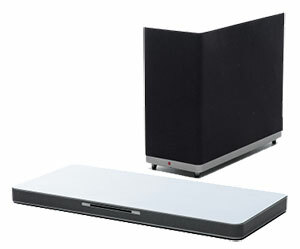 The LAB540W SoundPlate from LG is a departure from the sound bars that have become popular in the last few years. Rather than placing speakers in a long horizontal bar, LG has designed a flat rectangular cabinet with two speakers in the front and two in the back. This SoundPlate is not intended for mounting on a wall below your TV. Instead, the TV sits on top of the LAB540W. This configuration is not new, (see my ZVOX Z-Base 550 review from 2009), and a number of manufacturers are now offering sound plates, but the LAB540W is the first one I have reviewed that includes a 3D Blu-ray player integrated into the cabinet. 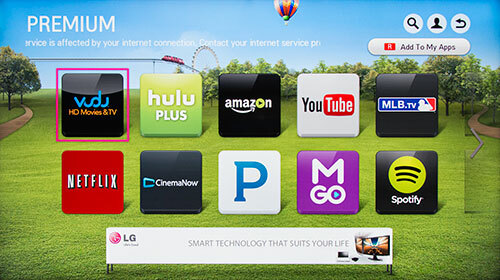 In addition to the player, LG has bundled its 2014 package of LG SmartWorld apps and premium streaming content providers like Netflix, Spotify and MLB.tv. The powerful 160W wireless subwoofer completes this compact but great sounding SoundPlate system. 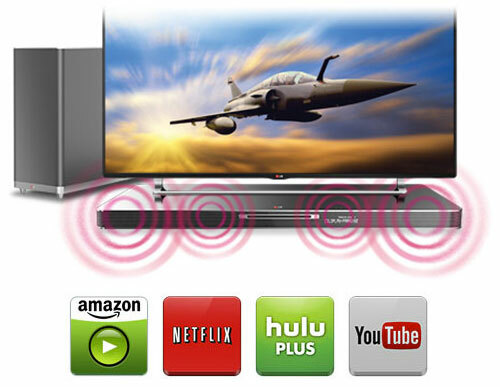 With Bluetooth connectivity included, the LG LAB540W provides a tidy, feature-rich home theater option, especially when matched with a smaller TV (LG recommends up to 55 inches but no more than 83 pounds) in a medium-sized viewing room. 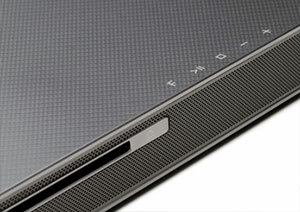 The top of the sturdy LG LAB540W SoundPlate is dark gray with diagonal light gray dotted lines. The front, sides and part of the back is covered with a dark gray meshed grille. The door to insert the discs is in middle of the front. Next to it, peering out from under the mesh is a white LED display panel. Just above the display on the top are five Operation buttons: F (Function), (Play / Pause), (Stop), and -/+ (Volume). The subwoofer is topped with the same gray patterned material. Three of the sides are covered with the more traditional black mesh with a silver accent around the lower edge. Flip it over and you'll see the down-firing port. 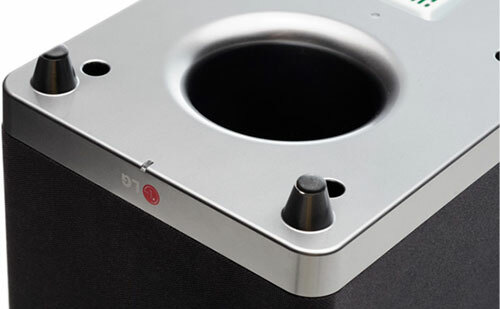 The subwoofer connects to the SoundPlate wirelessly, but you still need to plug it into an outlet for power. The manual recommends installing "the main unit and the subwoofer as close as possible (within 5 m)" and avoid placing obstacles between them. Also, the manual provides this guide for placing the TV on the SoundPlate. Converted to inches, your TV's stand should be no wider than about 26.75 inches and no deeper than 10.5 inches. On the back of the SoundPlate is the connection panel containing one USB port, one Digital Optical (Toslink) audio input, one HDMI in, one HDMI out and one LAN port for hooking up to your network's router the old fashioned way. The LAB540W also provides an integrated wireless adapter (802.11n with 2.4Ghz band) if you prefer that convenience. Also stashed away in the SoundPlate is a Bluetooth 3.0 adapter, which allows you to wirelessly stream audio from your Bluetooth enabled devices to the LAB540W. The frequency response for the speakers is 20Hz~20kHz. The Blu-ray player is 3D compatible. The video processor in the SoundPlate can also upscale 1080p content to Ultra HD (4K). 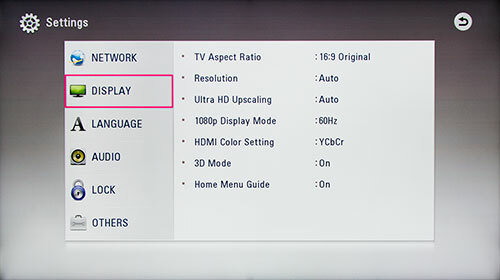 Though if you have a brand name Ultra HD TV, I would turn off the SoundPlate's upscaling and let your 4K TV perform that task. The unit furnishes a slideshow feature. You can access images from an attached USB drive or LG's SmartShare will search for pictures on any of your DNLA compatible network devices. 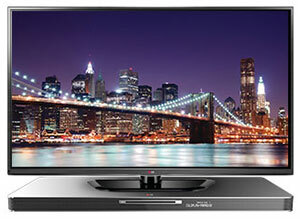 The LAB540W can playback 3D still image files (.mpo) if you have a 3D TV and you can add music to your slideshow. Other than that, the options are pretty basic with only three slide durations and four transitions (though, oddly, if you choose Random, a wider selection of transitions is implemented). The LG SmartWorld app store is not overflowing with apps, only 28 as far as I could see. Then again, 18 of the most popular streaming content partners are located separately in the Premium section. The long, (about 9 x 2 inches), dark gray remote control is not backlit but its size accommodates large buttons with easy to read labels. Since the LAB540W contains a Blu-ray player, the remote contains those controls as well as dedicated buttons for switching to the Optical audio input or with Cinema Sound, cycling between Cinema, Standard and Music. Curiously, the same function is duplicated by the Sound Effect button. Assuming that your TV is less than 83 pounds and its stand fits the width and depth requirements, simply place it on the middle of the SoundPlate. The subwoofer should be located within about 15 feet of the SoundPlate, closer if there are obstacles between them. The two should be wirelessly paired out of the box. If not, the manual steps you through the simple procedure. Also the initial setup should walk you through connecting the LAB540W to your home network. If you have attached an Ethernet cable to your LAN port, the process should be automatic. Usually a wireless connection will require inputting a password. The rest of set up is straight forward due to the fact that you don't have a lot of connection options. The LAB540W only provides one HDMI input, which constrains its use as a hub for a combination of devices like set top boxes or game controllers. If you have multiple devices, your best option is to plug them into your HDTV, assuming it offers multiple HDMI inputs. Then you can run audio out of the TV to the SoundPlate through an optical digital audio cable. Or I prefer to use an HDMI cable from the HDMI out of the LAB540W to the HDMI input on the TV that is ARC (Audio Return Channel) compatible. With this configuration, you can send video from the SoundPlate to your TV and also send audio back to the SoundPlate from the TV through the same cable. Once connected, you can do some minor tweaking of the audio output. Put on a favorite Blu-ray or audio CD and cycle through the Cinema, Standard and Music options and see which mode you prefer. To explore a little deeper, click the Speaker Level button and the menu allows you to independently adjust the levels of the four speakers in the SoundPlate and the one in the subwoofer. Of course, you will need to register the LAB540W with your streaming content providers like Vudu and Hulu Plus if you are using the SoundPlate as the conduit for those subscriber services. 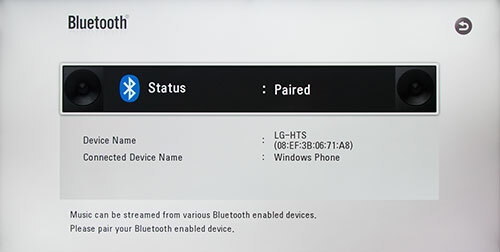 I will admit that I wasn't overwhelmed when I first streamed Bluetooth music on the LG LAB540W. The output just didn't have the punch that I was expecting. Then I remembered that the volume setting on the Bluetooth source influenced the volume emanating from the SoundPlate. 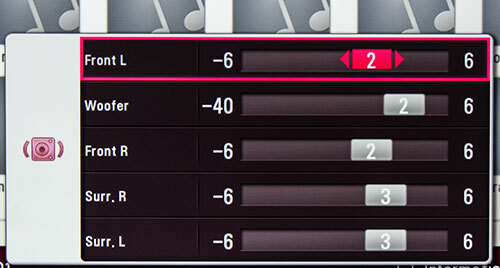 Once I pushed the volume on my Bluetooth connected iPad, I had to scurry to turn down the tidal wave of sound flowing out of the LG unit. When I popped in the TRON: Legacy Blu-ray, the Daft Punk soundtrack absolutely rumbled out of that 160W subwoofer. My concerns were allayed. Now, this system does not include satellite speakers and even though LG touts the SoundPlate's 3D surround sound feature, don't expect to hear cars zooming behind your head. The stereo separation did seem more pronounced. More importantly for those of us, both young and old, whose ears might not be what they were in their glory years, the dialog clarity was very good, especially since there is no dedicated center channel speaker in this 4.1 system. 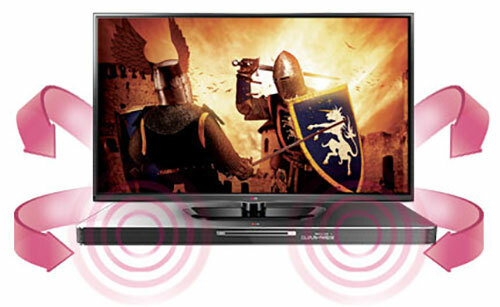 Overall, the audio quality was quite good and the volume output can comfortably fill small to mid-sized viewing rooms. At a suggested price of $599, you are definitely paying a premium for a 4.1 audio system that includes a 3D Blu-ray player and all the SmartTV streaming content features that you usually don't find in a typical sound plate or sound bar unit. If you already have a Blu-ray player or a streaming device like a Roku box, then the LG LAB540W is more than you need. 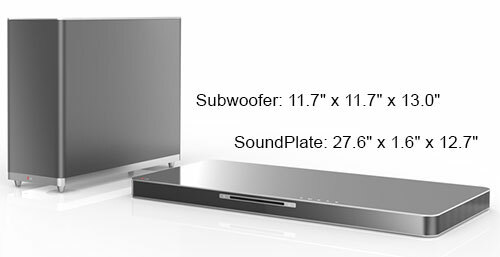 But this high performance SoundPlate plus subwoofer would be a great upgrade and compact companion to your TV that does not supply any SmartTV perks. The LG's LAB540w's integrated 3D Blu-ray player and SmartTV features elevate this great sounding 4.1 system above the usual SoundPlate with powered subwoofer combinations. The package may duplicate other components that you have in your setup and be more than you need. But if the bundle fills your requirements, then this convenient, compact system is worth considering.